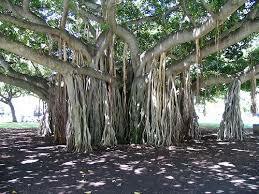 In Hindu religion, the Banyan tree or the Vata Vriksha is considered most sacred amongst all other trees. 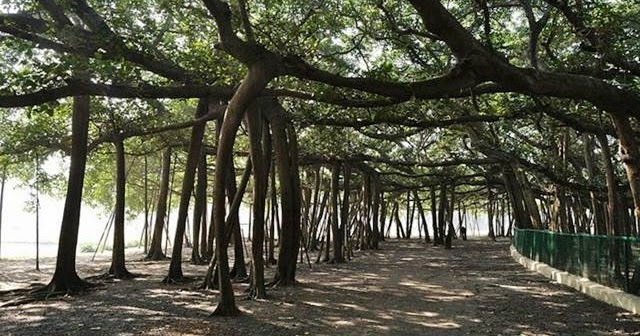 Banyan tree, scientifically named Ficus benghalensis, is considered immortal and is greatly revered since the Vedic times. Again, Buddhists also held the Vata Vriksha or Bo-tree in great adoration as Lord Buddha, the founder of Buddhism, had attained his enlightenment while meditating under the same tree. In Hindu symbology, Vata Vriksha is a perfect personification of something which is strong, standing firm on the ground with all virtues and virility. ‘Eccha Vriksha’ or ‘Wish Tree’ is another name given to this tree. The tree is also rich in medicinal value and various drugs are prepared from its various segments. As per the historical and botanical sources, the oldest Vata is found at Prayag (Allahabad), an ancient Indian town. 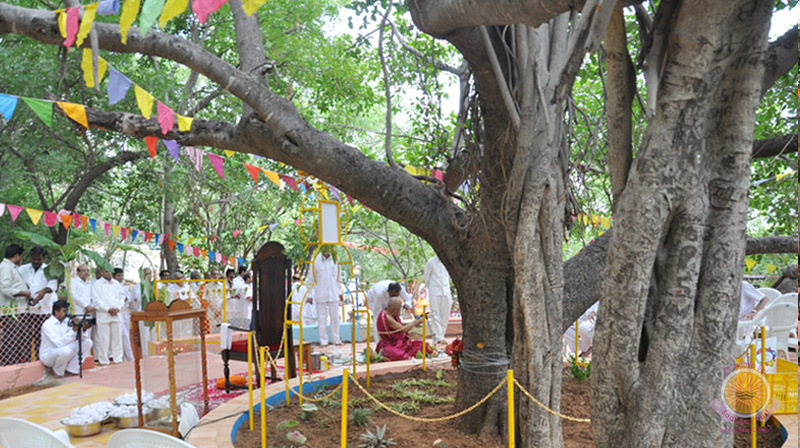 Many ancient Indian scriptures including Aitareya Upanishad, Ramayana, Brahmana, Uttar Ramcharit have given reference to the Vata tree indicating the significance of the tree which dates back to the Vedic period. 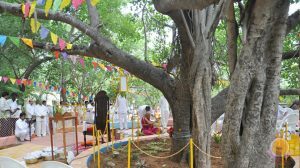 Such is the importance of the Vata tree in the Hindu religion that many gods including The Trinity (Brahma, Vishnu, Maheash), Kuber, Lakshmi, Krishna, Sasthi etc. have been symbolically represented as the sacred Vata tree. On the 15th day of the month of Jyestha (May-June), women in Maharashtra and Gujarat pay obeisance to Vad or Vada as part of the Hindu ritual. As per the ritual in eastern India, on the special occasion of ‘fertility’ puja during the Shasti Puja, the branch of Vata is compulsorily used. 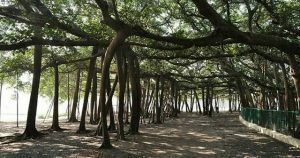 People of Bengal especially worship the Vata tree as Lord Brahma himself on Saturdays during Jyestha. Vata-Savitri Vrata – The story of Satyavan-Savitri is linked to the occasion of Vata-Savitri Vrata in Hindu religion. As per the legend, on the death of her husband Satyavan, wife Savitri fought against the God of Death-Yama in order to get back her husband at any cost. It is believed that after performing Vata-Savitri Vrata (fast) on the fifteenth day of Jayeshta, Lord Yama returned to the wife her beloved husband. Thus, the festival of Vata-Savitri Vrata became quite popular amongst the womenfolk in India who keep this fast for the longevity of their husband.